Sustainability in development projects is as prominent a goal as it has been a rare accomplishment over the past half-century. 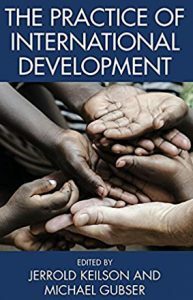 As explained in a chapter I contributed to the recently published book, The Practice of International Development, this endemically disappointing result traces equally to how we design and implement development projects and programs and to how we define the goal of sustainability from the start. Beginning with this definition, funders, designers, and implementers alike tend to be imprecise and modest about what exactly they wish to sustain. Without clarifying these aspects, the apparent implication is that sustainability means the maintenance of a faithful replica of the original intervention. It should resemble in the future what it looked like when operated under its funded version. Yet, this version of sustainability, even when applied to the most successful initiative, is likely doomed as it expands in space and time. This result seems often to trace to what I call the “hothouse flower” effect. Externally-funded, time-bound projects commonly embody strategies and other elements that only minimally reflect the conditions and capacities a host system will face when it takes over operations; like a greenhouse. The project phase scope is usually much smaller than what the host jurisdiction must manage at scale. The available resources, technical expertise, logistical means, and time to produce desirable results are also often much greater than those to which the host system has access, at least on a per beneficiary basis. A project or program that blooms stunningly in such privileged conditions is understandably imperiled when handed over to the host institution which then must sustain and spread it in the metaphorically arid, saline, hardscrabble, resource-poor, technologically-barren, pest- and disease-ridden settings that prevail across the real implementation landscape. So how can your project or program avoid falling victim to the “hothouse flower” effect? Looking at a wide range of initiatives that have successfully achieved sustainability, at least in some of their components, six major elements emerge as vital to incorporate if sustainability is desired. From the start, it is crucial to have a core vision and goals that establish sustainability (and possibly scale) as a deliberate top-tier outcome. Translated into strategy, this means that decisions and actions to promote sustainability must begin on Day One. Their articulation must reflect fully the core priorities of the host system and its beneficiaries. While precise, these must also permit flexibility to accommodate the inevitable dramatic shifts in context that will often occur due to technological, political, economic, and other changes during implementation. As I like to say, if you reach the end of an initiative having done exactly what you said you would do in your original plan, you were not paying attention. All key stakeholders must fully understand and embrace the intervention’s core vision and goals. This group includes equally those who will be responsible for the initiative’s various components and those who will benefit from its impacts once it is fully operational. Their engagement is essential, not just to ensure their commitment to a model’s or method’s durability, but also to solidify their confidence and sense of authority to update the initiative’s component parts, and even its underlying objectives, as appropriate. Local ownership is also necessary for assuring quality and appropriateness. External experts may contribute valuable methods and technologies along with international experience, but they are often ignorant of the wide range of local conditions and issues that will ultimately determine a project’s success, growth, and endurance. The experience and insights of the host system, its local partners, and the intended beneficiaries are crucial. 3. 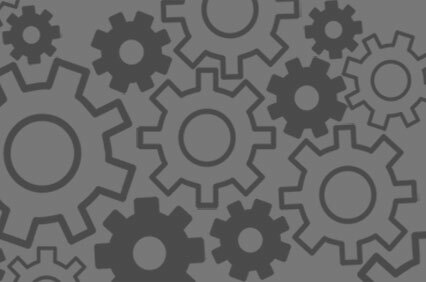 Underlying project logic and technical dimensions. These same actors must also have the knowledge and skills required to operate the intervention after outside funding ends. Again, this is not simply a matter of maintaining what they adopted, but especially to be able to identify and undertake any required modifications. Their ability to meet and adapt to charge is fundamental to ensuring that the model, strategies, structures, and other core operational elements of an intervention are truly sustainable and scalable. Involving these actors early and regularly—ideally as co-implementers—should lead to decisions and actions that allow a project’s components to react flexibly and appropriately to the inevitable real and evolving conditions, not just to progress blithely in the “hothouse” conditions of a project laboratory. Since sustainability frequently entails expansion, or scaling, the project leaders from the host jurisdiction must also be able to communicate an initiative’s objectives, relevance, component parts, and strategy clearly and convincingly. This is necessary, at a minimum, to attract more adherents and train them in various aspects of implementation or participation. Perhaps most vitally, implementers must be able to empirically demonstrate and clearly communicate that the intervention yields outcomes that matter to all concerned and that they outweigh the costs of operation. Sustainability is rarely free, even to the beneficiaries, and sometimes the costs are borne by them in particular. For example, keeping one’s daughter in school longer may promise abundant benefits, but it also potentially carries many costs and social risks for parents. So might also a new set of agricultural inputs and practices, or the operation of a new water system. The ability to convincingly explain the positives can be critical to encouraging beneficiaries to willingly accept and manage the costs and risks. 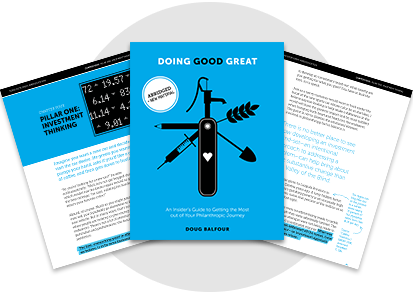 When establishing an initiative’s indicators and benchmarks, it is vital to have reasonable expectations for the scope and pace of successful adoption. Too many projects have withered naturally on the vine, or been cravenly abandoned, due to an overly ambitious sense of what sustainability and scalability mean. Total success with universal adoption within the common project timeframe is rare. Hence, decisions about whether to sustain and scale must accept that adoption may be slow and limited—even by a project’s end—but if it is successful, it should remain an ongoing process. This is true even if an intervention’s strategy, or model—the product—is fully validated. Such validation, or indeed any determination of an intervention’s efficacy, also requires that the managers and associated authorities responsible to sustain and scale it must possess the tools, skills, and resources to track, measure, and analyze the intervention’s operation and impact. The information generated should serve both to keep implementation and impacts on track and to strengthen or otherwise adjust these, as appropriate. 6. Institutional structures, strategies, plans, budgets, and responsibilities. Finally, the host institutions that will ultimately be responsible for sustainability and scaling must be committed to managing and revising the project as needed and be capable to do so, both technically and in terms of mandate or policy. This means most essentially that they must incorporate the initiative’s key elements into their respective priorities, plans, and budgets and enact any policies that may be required to favor its successful adoption. In other words, the project must no longer be a project, but a fully-integrated program and practice. Such full institutional integration also implies the need to anticipate and manage the different factors that may jeopardize sustainability, such as competing innovations. Even when compatible, the common occurrence of different projects supported by different partners risks leaving decision-makers and front-line practitioners alike over-burdened and wondering which methods or interventions to prioritize and eventually to adopt and sustain. In the same vein, the designation of a funded project to one unit of a host institution may result in the marginalization of other units that are responsible for other areas that are also critical to the intervention’s long-term success—or even its short-term operation. A project should identify these other units from the start to engage them as collaboratively as possible. Sustainability may also fall victim to a host jurisdiction’s inability to maintain a funded project’s bloated incentive structure. This pertains most obviously to extrinsic motivations, such as honoraria, per diems, and study tours. It may also pertain, though, to intrinsic ones, such as the opportunity to exercise creativity and take independent initiative in one’s work and to gain prestige and fulfillment from doing so. As a last example, sustainability frequently fails, as its key technical operators and policy advocates from the host institution either disband or find new assignments when the funding ends. The transition out of a project by key counterparts that are common during project implementation similarly leaves only a few or even no one to bear the burden and raise the banner beyond the official project finish line. Projects appropriately have little influence over a host system’s personnel decisions, but they can embed a project’s key elements institutionally, so that their lasting application and impact are not dependent on key individuals. Viewed through these six lenses, the challenge of sustainability concerns much more than a simple perpetuation of what a project launches. The fact is that success is tied to many factors that necessarily evolve from one place to another over time. In the end, if a project can generate solidly convincing outcomes, demonstrate its suitability to the prevailing context, entrench itself within a host institution’s systems and priorities, and mobilize a critical mass of competent front-line practitioners, it should be able to overcome most risks and embark confidently on a path to sustainability and scale. This is, admittedly, a big “if,” but one that must influence the design and implementation of any project that aspires to true sustainability beyond funding. 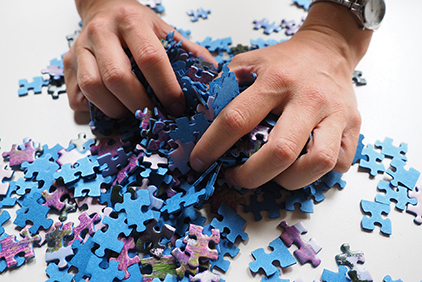 "...the sum is greater than the parts..."
Curious How We Design High-Impact Programs?